• The EIA expects U.S. tight oil will rise to 6 million barrels per day over the next decade, which will mean tight oil accounts for more than half of total U.S. oil production. • Tight oil also makes up nearly all of the production growth in the U.S. going forward, with most conventional fields already developed. • However, the EIA expects that by the mid-2020s, U.S. tight oil production peaks and then plateaus. Shale wells suffer from faster depletion than conventional oil fields, and so most of the best shale plays will see their output peak within the next decade before they begin to decline. • Energy Transfer Partners (NYSE: ETP) received the final easement needed to complete construction of the Dakota Access Pipeline last week. Native American tribes filed for an injunction in federal court to stop construction in recent days but a judge denied the request. • The U.S. State Department said on Friday that it finds no adverse impact from the expansion of Enbridge’s (NYSE: ENB) Alberta Clipper Pipeline, which carries oil to Minnesota and Wisconsin. Unlike other pipelines, the Clipper has attracted much less controversy. The State Dept. finding should ease the way for expansion. • A new report finds that Canada’s oil sands industry will reach Alberta’s CO2 emissions cap by 2026 unless new technologies are developed to lower emissions. The cap stands as a looming threat to oil sands production if emissions keep rising. Oil is flat out of the gates this week with a continued “wait-and-see” approach, as the IEA put it. OPEC compliance looks good but U.S. drilling continues to rise. U.S. oil exports rise. Since the ban on crude oil exports was lifted a little over a year ago, exports from the U.S have proceeded slowly. However, exports are finally beginning to pick up steam, averaging 623,000 bpd so far in 2017, up 42 percent from the same period a year earlier. U.S. crude exports could rise to 900,000 bpd at some point this year. Helping U.S. exporters is the steeper discount between WTI and Brent, making U.S. crude more competitive on the international market. Glut of refined fuels in Asia. Refining production of gasoline and diesel in Asia will exceed demand by 750,000 bpd this year, according to BMI Research. The firm expects the glut to persist through 2021 at least, a staggering supply overhang that could weigh on prices. It will also weigh on the profits of refiners in Asia as margins are set to remain low for the foreseeable future. Part of the reason for the glut is the wave of refining complexes planned years ago that have come online. But the demand side of the equation is also to blame, with Chinese oil demand growth set to slow to just 1.7 percent per year for the next eight years, after growing by an average of 5 percent for the past decade. Energy investments lose swagger. With oil prices doubling over the calendar year in 2016, the energy sector offered some of the juiciest returns for investors – energy was the best performer in the S&P 500 last year, rising by 24 percent. Now, with oil prices stagnating in the $50s, the fat returns are over. The S&P Energy sector is down 3.6 percent year-to-date. OPEC compliance to fall? It should be noted, however, that some analysts see this as the high watermark for compliance. 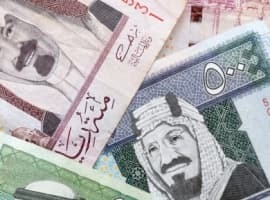 Saudi Arabia will be under pressure to increase production as temperatures rise in order to offset demand, and the idea of front-loading steep cuts was intentional in order to inspire confidence in the deal from the market. In other words, things look good on the compliance front, but investors should remain skeptical. Meanwhile, Kuwait’s oil minister said that he and other OPEC officials are leaning on non-OPEC members to increase their compliance with the deal. The non-OPEC countries participating in the deal are posting a 50 percent compliance rate right now. 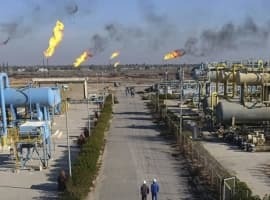 Iraq output to fall. Bloomberg reports that Iraq’s production could hit a seven-month low in March due to maintenance and seasonal fluctuations, which could help Iraq meet its obligations under the OPEC deal. March exports could drop to 3 mb/d from 3.64 mb/d in February. Iraq promised to cut 210,000 bpd as part of the agreement and some field maintenance could allow them to achieve that target. 18 U.S. automakers want Trump to relax fuel efficiency standards. The CEOs of 18 major carmakers sent a joint letter to the Trump administration to rollback fuel efficiency requirements set during the Obama administration for model years 2022-2025, which would require company fleets to average greater than 50 miles per gallon. Related: Is $60 Oil Within Reach? India’s oil demand plunges unexpectedly. As the Chinese consumer market matures, its oil demand growth has slowed down. India is expected to take the mantle of the largest source of annual consumption growth. However, recent data shows that India’s oil demand in January plunged by the most since May 2003 due to a currency shortage. Fuel consumption dipped by 4.5 percent, a shocker given the projections for rapid growth in demand for years to come. The culprit is said to be a government crackdown on high-valued currency notes, which is cutting into economic activity. Trump admin softens tone on foreign policy. President Trump reaffirmed the U.S.’ commitment to the “One China” policy last week, and the NYT reports that some top advisors recently told their European counterparts that the administration would carry out the 2015 nuclear deal with Iran rather than rip it up as promised on the campaign trail. If true, that would significantly lower the tensions between the U.S. and Iran, taking one massive oil market risk off the table. Oil discoveries hit new low. 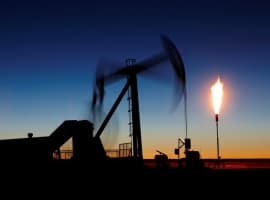 According to IHS Markit, the global oil industry only logged 174 new discoveries last year, compared with an average of 400 to 500 annually before 2014. Lower oil prices have forced companies large and small to scale back exploration. With large oil fields offshore less competitive, the industry is becoming increasingly reliant on shale, which enjoys lower upfront costs and thus, less exploration risk. But the dearth of new discoveries could lead to a supply shortfall five to seven years from now. Discoveries dropped to their lowest point in nearly seventy years in 2015, only to dip further last year. The one positive note is that exploration spending is set to increase in 2017, so discoveries are likely to rebound. Shale is no match to the OPEC cuts. Shale will be capped by the ever rising drilling and completion costs pushing the break even costs higher as the price of oil rises.